Oh! Now we're getting somewhere. So what did - does - this business look like on Google? 1. 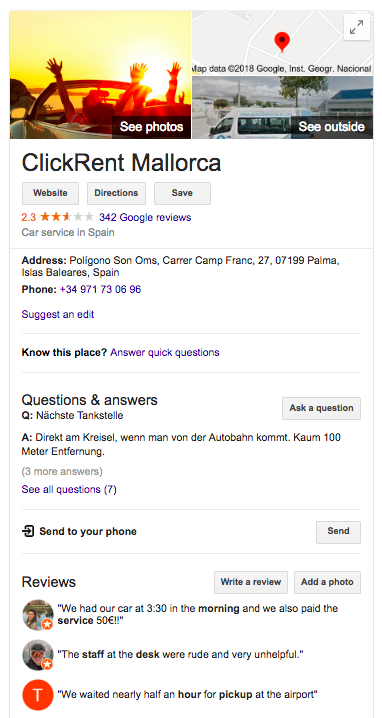 Pretty well all the car rental companies in this location look similarly horrendous when you read their reviews. None of them have engaged in any form of proactive review management. 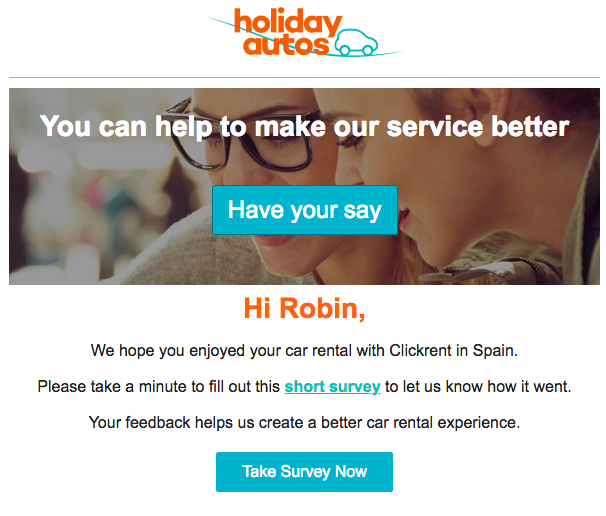 They are mostly stuck in the old CRM feedback loop - perversely giving a massive opportunity to the first car rental business that does engage! 2. The business has about 300 negative reviews on Google and 75 on Trustpilot. Now we are not saying those customers did not have genuine cause to write those reviews, but businesses with massive put-through are at a distinct disadvantage when it comes to review management. We estimate that this business has about 100 customers a day - that's at least 15,000 a year (allowing for the off-season) and they have 375 negative reviews in total. If all those reviews had been written in the last 12 months they would equate to less than .03% of their customers - three in a thousand. 3. The nature of the business: 90% of their customers arrive on only on day a week - Saturday ('change-over' day). This does not mean to say there is no solution. That solution, as ever, is to engage. 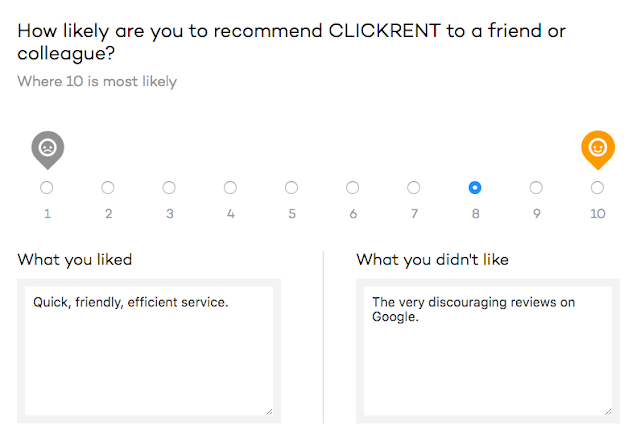 Ask customers for a review. Combine this with rigidly enforced service standards at obvious touch-points (pick up and drop off) and the business should start to look a whole lot better on Google. The review management solution - because, make no mistake, looking as bad as this in search is deflecting significant business - is to be proactive. Use a moderated reviews solution (not the old-fashioned feedback one you have seen at the top of this article) to invite reviews, first to the business's own website and then to Google. And then it will know the meaning of the words 'effective professional review management' and impact that has on a business's bottom line.